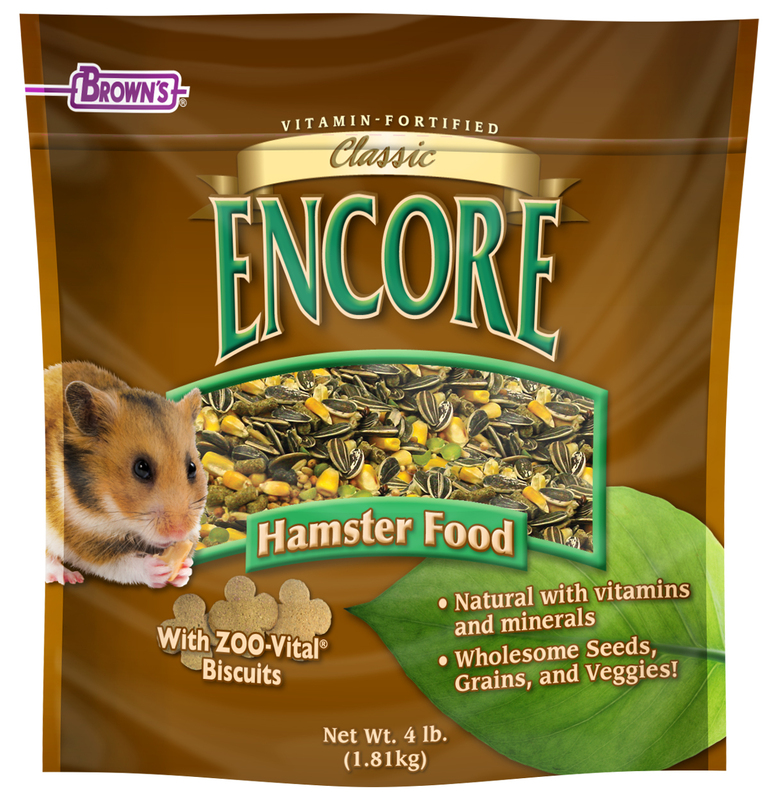 Our Encore Classic Food is a wholesome, natural daily diet with vitamins and minerals, specifically formulated for hamsters. 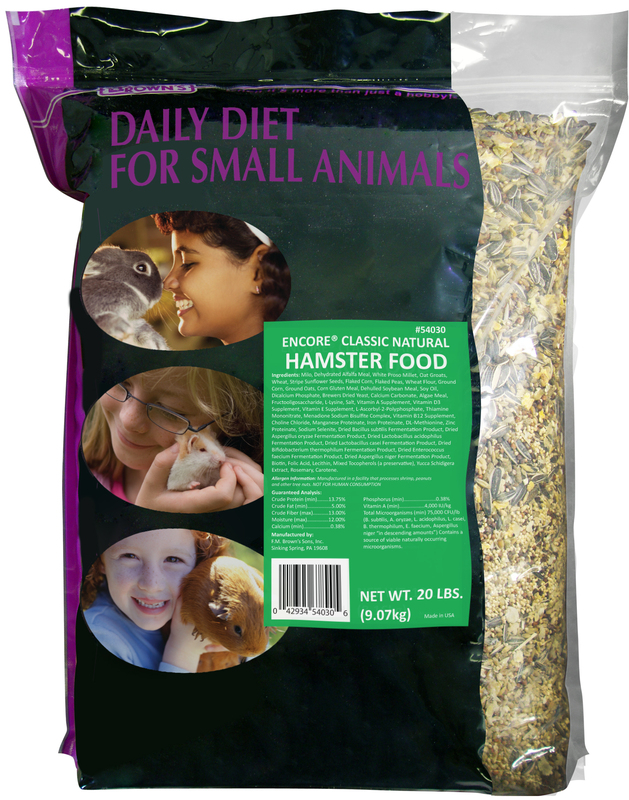 We've blended a variety of appealing flavors, textures and shapes to help relieve cage boredom, stimulate the natural foraging instinct and satisfy the need to chew. 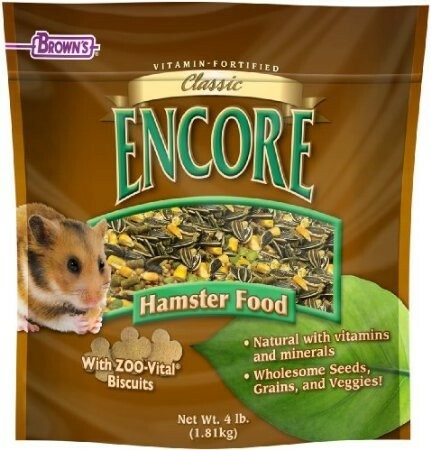 Our Encore Classic Food is a wholesome, natural daily diet with vitamins and minerals, specifically formulated for hamsters. 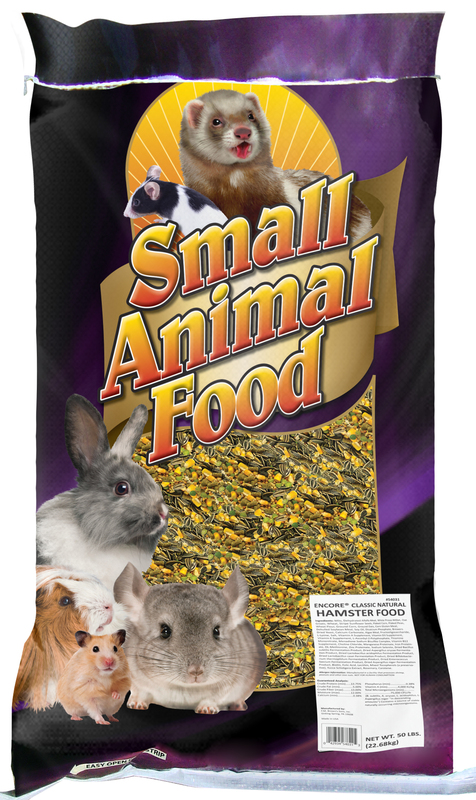 We've blended a variety of appealing flavors, textures and shapes to help relieve cage boredom, stimulate the natural foraging instinct and satisfy the need to chew. 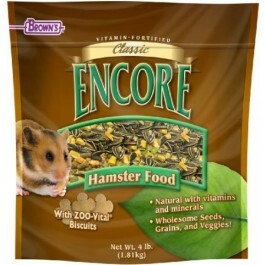 We're sure your hamster will love our food. It's simply a natural fit. 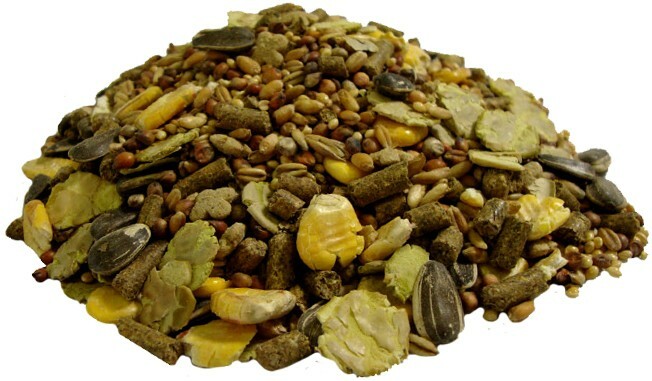 Milo, Dehydrated Alfalfa Meal, White Proso Millet, Oat Groats, Wheat, Stripe Sunflower Seeds, Flaked Corn, Flaked Peas, Wheat Flour, Ground Corn, Ground Oats, Corn Gluten Meal, Dehulled Soybean Meal, Soy Oil, Dicalcium Phosphate, Brewer’s Dried Yeast, Calcium Carbonate, Algae Meal, Fructooligosaccharide, L-Lysine, Salt, Vitamin A Supplement, Vitamin D3 Supplement, Vitamin E Supplement, L-Ascorbyl-2-Polyphosphate, Thiamine Mononitrate, Menadione Sodium Bisulfite Complex, Vitamin B12 Supplement, Choline Chloride, Manganese Proteinate, Iron Proteinate, DL-Methionine, Zinc Proteinate, Sodium Selenite, Dried Bacillus subtilis Fermentation Product, Dried Aspergillus oryzae Fermentation Product, Dried Lactobacillus acidophilus Fermentation Product, Dried Lactobacillus casei Fermentation Product, Dried Bifidobacterium thermophilum Fermentation Product, Dried Enterococcus faecium Fermentation Product, Dried Aspergillus niger Fermentation Product, Biotin, Folic Acid, Lecithin, Mixed Tocopherols (a preservative), Yucca schidigera Extract, Rosemary, and Carotene.